Parlour acoustics are among the smallest in body size you can buy – not counting the travel guitars – and are typically favoured by players of more low-key, less brash musical styles like folk and indie. 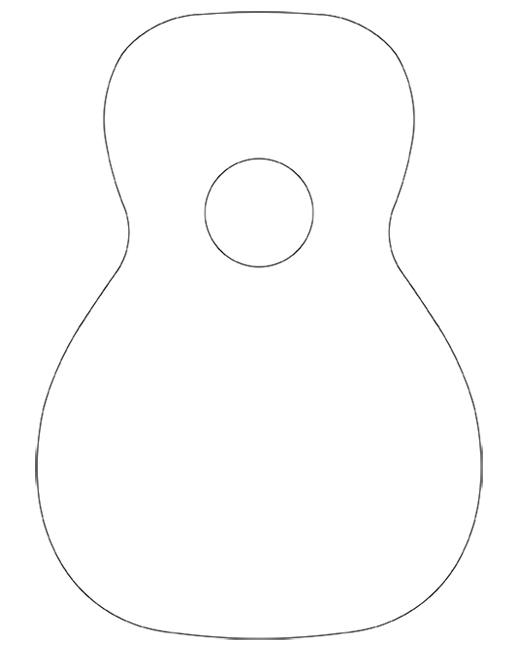 The guitar’s ‘shoulders’ – where the body meets the neck joint – will usually be slightly more sloped than you’d see in a classic dreadnought acoustic, while the base of the body will also be narrower than larger sized guitars. The guitar’s neck typically joins the body around the 12th fret. All of which makes for a more comfortable and less physically intrusive playing experience. Another obvious benefit of this is the portability of parlour guitars. Their relatively smaller form factor means they lend themselves well to being slung in a case and carted off to gigs with less hassle than, for example, a jumbo-sized acoustic. The small body size does not mean a compromise in sound as the long soundboard produces a big bass and bright highs. If you’re after a more compact guitar, this could be just the ticket.